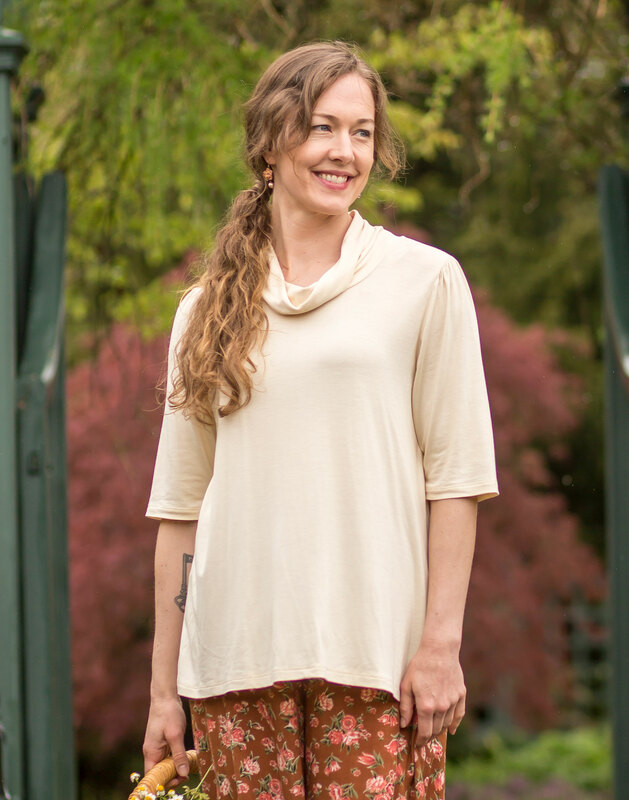 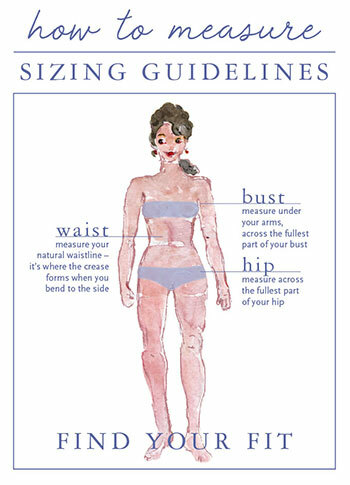 This is so me right now- extra long and flowing free in soul nourishing natural cotton. 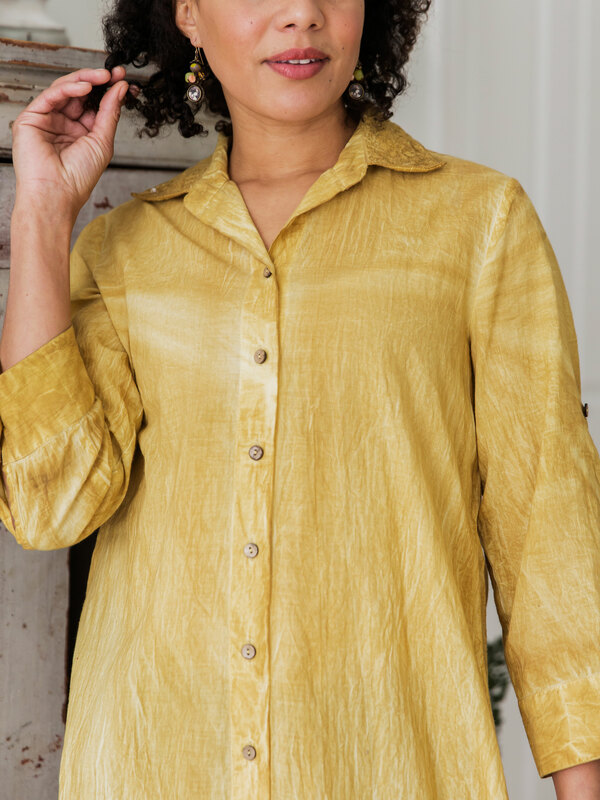 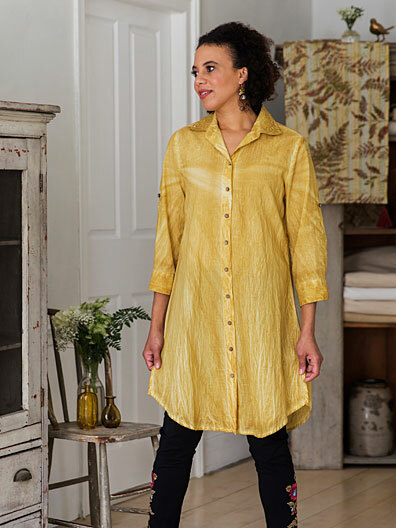 The Carolina Tunic in goldenrod absorbs a sublimely variegated coloration that resonates with my heart. 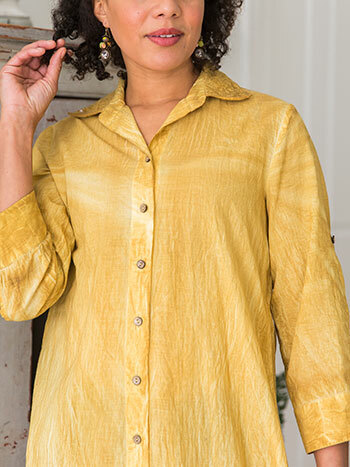 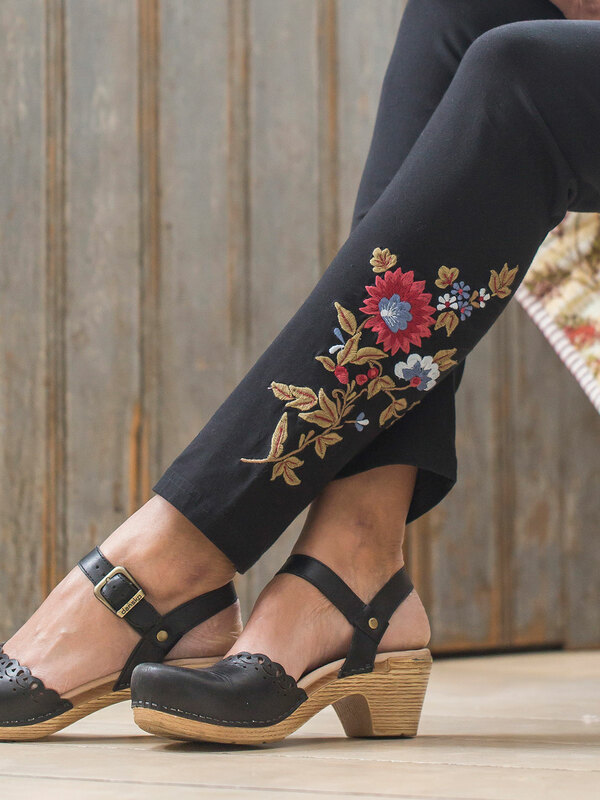 Layered lace collar, coconut shell buttons, button tab sleeves for roll up versatility.